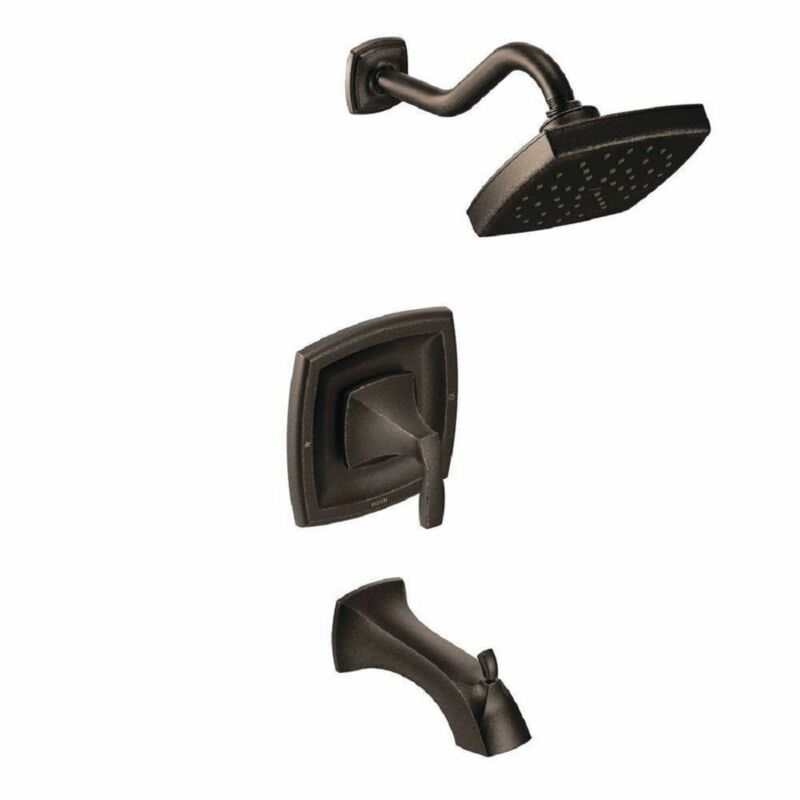 Wynford Moentrol Tub/Shower in Oil Rubbed Bronze (Valve Sold Separately) is rated 4.0 out of 5 by 3. Rated 4 out of 5 by ESam53 from Updated '80's chrome. Opted for the Voss solution for the... Updated '80's chrome. Opted for the Voss solution for the installed Moen 1225 valve control. I had to buy Moentrol # 145058 to supposedly adapt the old valve escutcheon 5-7 o'clock cover to the new 2-7 screw position. Voss is square. If your valve was not put in LEVEL this is NOT a design for you. Rated 3 out of 5 by Remodelfool from Over priced compared to other manufacturer's products Moen does stand behind their products and the times I have had to contact customer service they have been helpful. I just thing the price is too high for a bathtub set that is average in quality. Rated 5 out of 5 by Edsbiggbuck from Works as good as it looks We bought this for our whole house renovations after hurricane sandy. And it works as good as it looks.